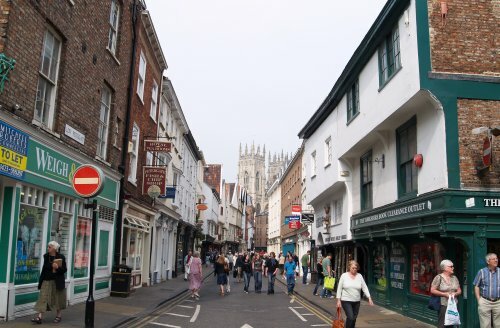 Petergate was the Via Principa, or main cross street of Eboracum (the Roman name for York). 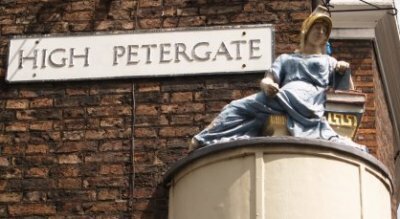 The statue of Minerva, Goddess of Wisdom, sitting with an owl and a pile of books, a reminder of the days when this was the street of bookbinders and booksellers. 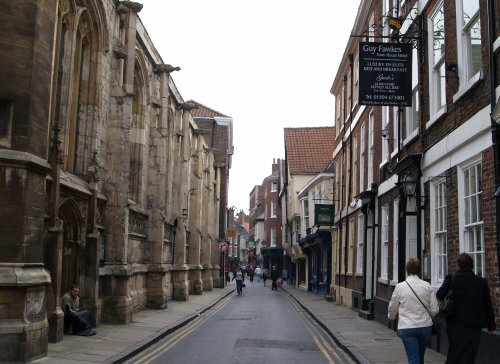 This point is also the main road intersection of Roman York and the entrance to the Principia - the Roman military headquarters. 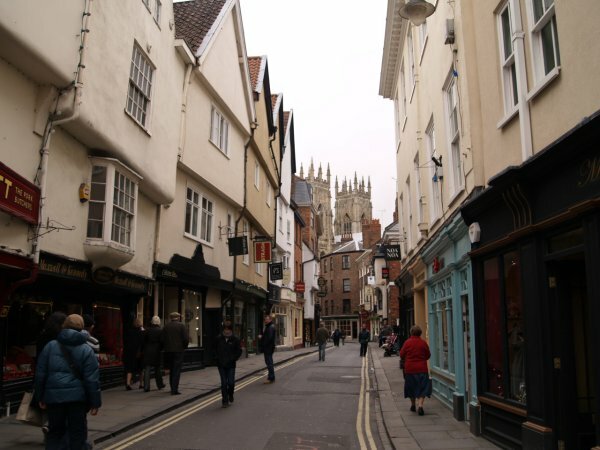 Looking down the start of Low Petergate, just across from the Minster. 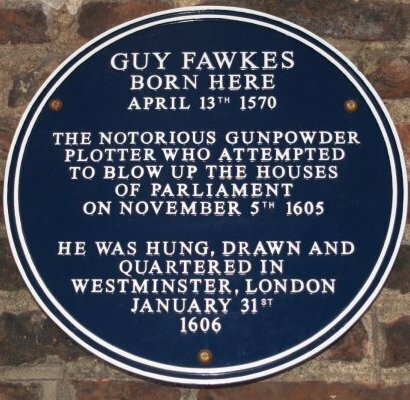 The Church of St Michael-le-Belfry (page 2c) is across from the Minster near where Low Petergate meets High Petergate and where the infamous Guy Fawkes was baptised. 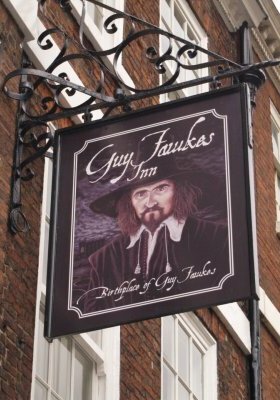 The Guy Fawkes Inn which is across the road from the Church of St Michael-le-Belfry. 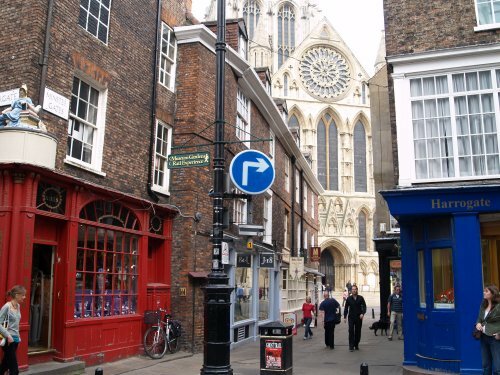 The cross-roads at Minster Gates which is a short street opposite Stonegate where High Petergate meets Low Petergate with the Rose window of the Minster in the background. 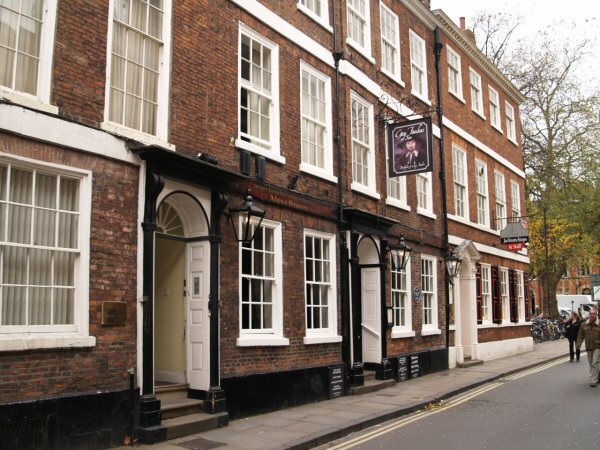 Looking down Low Petergate from High Petergate. 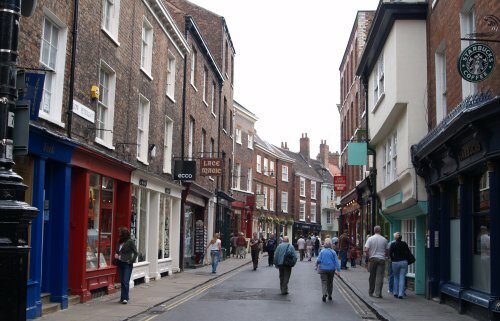 Looking down Low Petergate to High Petergate and beyond to York Minster. 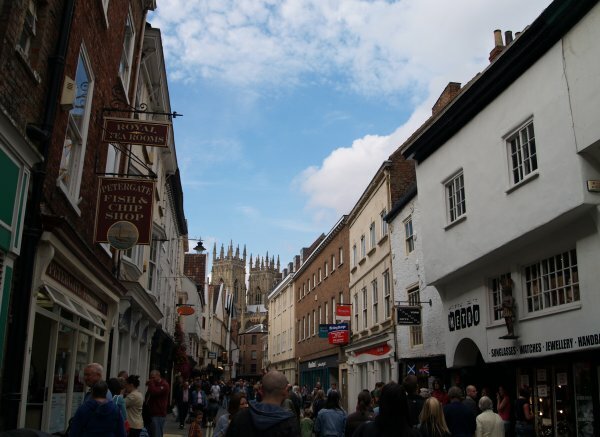 These streets are always busy and have been since medieval times but lots of interesting shops and buildings. 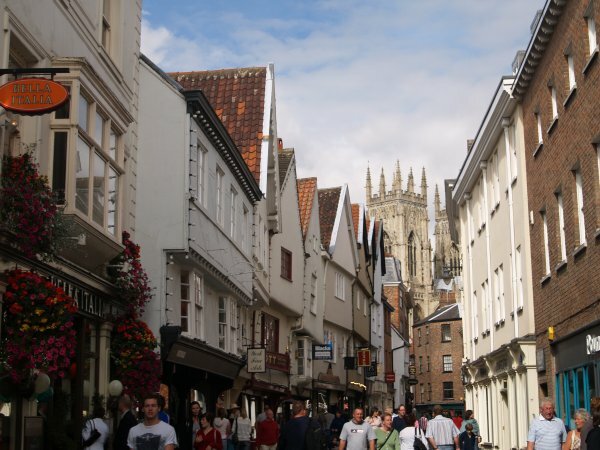 Looking north-west up Low Petergate towards the Minster, which always seem to be in view. 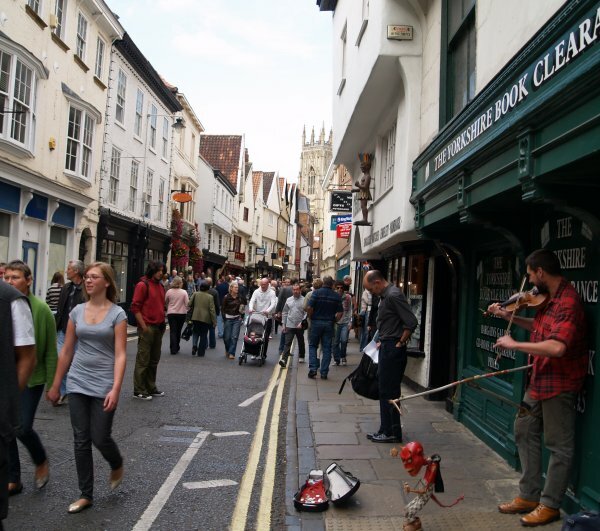 The odd street musician can be seen and heard.